Almost exactly 2 years after joining Apple, John Sculley, asks Steve Jobs to step down as head of the Macintosh division at an Apple Computer board meeting. With the backing of the company’s other executives, Jobs is stripped of nearly all responsibilities at Apple. 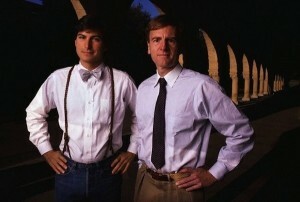 While Jobs retains the title of Chairman, he has no authority and eventually leaves Apple.